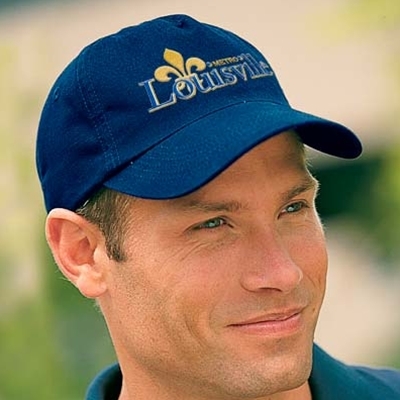 The gold and blue Louisville Metro logo looks great on this blue, 100% cotton-brushed canvas cap. It features a self-fabric closure, stitched eyelets, and a fashion-curved bill. Available in Blue with the Louisville Metro logo.